Steelhead fishing is fair, fish the color lines for best results. Keep your lines up high. 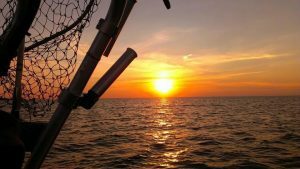 Put out some long lines on the boards, bright colors of spoons, small, and regular sizes for best results, fishing straight out and North of the harbor, start in 65 feet of water and work out as the sun comes up to 140 to 180 feet of water. Lake Trout fishing has been on the slow side with the storms that have gone,but should be picking back up. Try straight out South and North of the harbor using the dodgers with spin and glows close to the bottom. Use clean spoons off the downriggers. Fish 50 foot down to the bottom for best results. 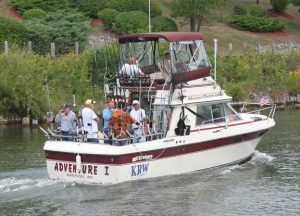 Start fishing in 80 feet of water and work your way out to the deeper water till you find them. 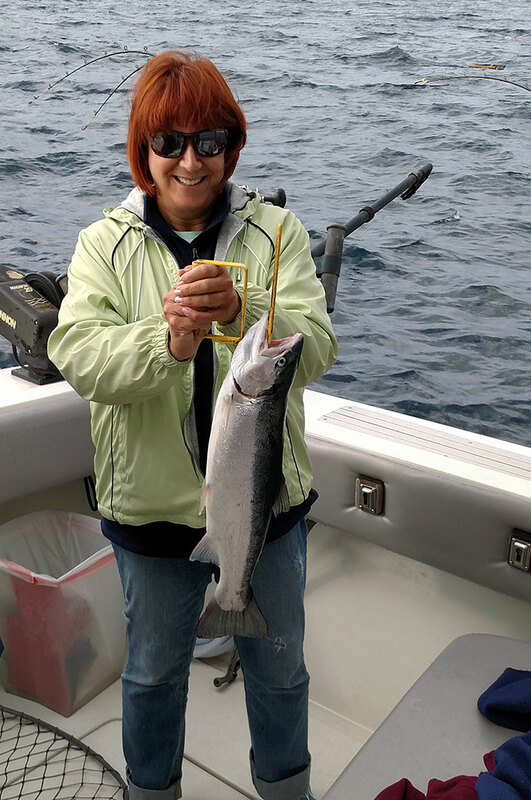 A few Salmon are still being taken straight out and North of the harbor fishing 90 to120 foot of water areas. Work deeper as the sun comes up. Clean spoons off the lead lines, dipseys, and downriggers are all working. Fish 15 to 70 feet down. Walleye fishing is getting better as the water warms up, try North of the harbor and north of Port Hope working in close to shore, 25 to 50 feet of water. Clean small spoons or crawler harnesses should work.